How much Polytron Metal Treatment Concentrate (MTC) should I add to my engine? For vehicles with a standard five-quart crankcase capacity, add 16 ounces of Polytron MTC to the crankcase. Then fill to the recommended capacity with the motor oil normally used. With larger volume systems, use Polytron MTC 10% by volume. How often do I add Polytron MTC to my oil? After the initial treatment 16 oz., for maximum results, it is recommended that you add 8 oz. of Polytron MTC every 10,000 miles or every 3rd oil change at minimum. Polytron will not harm your equipment/engine if you apply more often, say every oil change. Is it necessary to change my oil as often with Polytron MTC? The decision to change oil is yours and should ultimately come from careful observations. Polytron MTC dramatically extends the life span of your oil, however we recommend that you always follow the service interval guidelines provided by the manufacturer of your car, truck, or equipment. Change oil and filter as recommended. If you would like to extend oil change intervals, please follow Used Oil Analysis guide here. Why would I want to put Polytron in a brand new vehicle? Quite simply - to prevent the new engine in your car from becoming an old engine. Most engine ware occurs during cold starts, in the first critical moments before motor oil fully circulates. Within hours of turning your engine off, virtually no oil remains on the engine parts due to gravity. Polytron Metal Treatment (MTC) transforms surfaces with a layer of ionic oil molecules which dramatically reduces friction and wear. Immediate start-up lubrication is ensured. Will adding Polytron MTC void New Car Warranties? No. 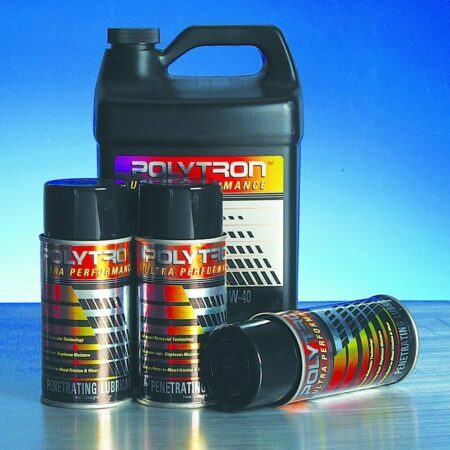 Polytron is a 100% petroleum based product and contains no Teflon or PTFE resins, molybdenum disulfide, lead or any other solids which can cause serious buildup in your engine. It is undetectable when mixed with the motor oil you regularly use in your vehicle. Please follow owner's manual for specifications, such as break-in period, which is usually 500-1,000mi. 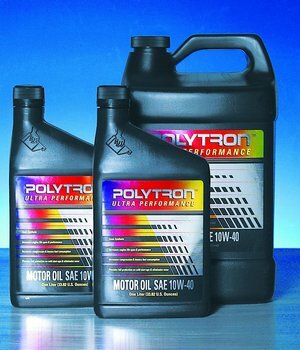 Can I use Polytron in a new car or in a rebuilt engine? Yes. The earlier an engine is treated with Polytron, the greater the overall benefit. 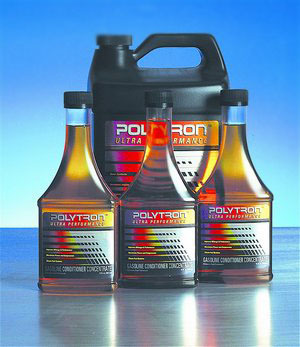 Unlike most oil additives and engine treatments, Polytron does not interfere with engineered tolerances. It can be used immediately following the manufacturer’s recommended engine break-in period (usually between 500 and 1,000 miles). Please consult your owner’s manual or engine rebuilder for exact specifications. 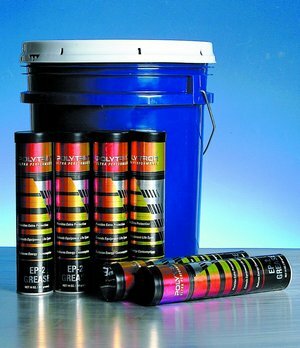 How quickly can I expect results from Polytron products? For the majority of cars the results are immediate. Often, the engine noise will significantly quiet as soon as you turn the engine on after first application. In other cars and equipment, it may take several hundred miles/hours or several gas treatments to notice any dramatic change due to the buildup of gum, varnish and other solids prior to applying Polytron products. Has any major Auto Manufacturer tested Polytron products? Not to our knowledge. It is not in the best interest of the auto industry to have your car’s engine last forever without breaking down, which Polytron will effectively promote. There is more money in long-term repairs. What tests have been done using Polytron Metal Treatment (MTC)? A number of tests have been completed. First, Texaco has certified that Polytron is completely compatible with its motor oils including synthetics. The Sintef Group completed another test, (Sintef is the largest technological research organization in Northern Europe). The United States Testing Laboratory did other tests. These tests compared Polytron against several leading lubrication oils with respect to reduction of friction, wear and temperature. In every case Polytron proved superior in performance including one of the most severe tests - the Seta-Shell Four Ball Extreme pressure Test. How do I get PTFE or Teflon-based products out of my engine? Will Polytron work in my car after I’ve used these other product? Not only will Polytron work in your engine after using PTFE resin based products, it will remove the build-up these products create and deposit. Many "major brands" contain such harmful chemicals as active ingredients or their secret inner-workings. Polytron truly provides performance by transforming the metallic surface and it is NOT a coating like other brands. Can I add Polytron MTC to my automatic transmission? Yes. 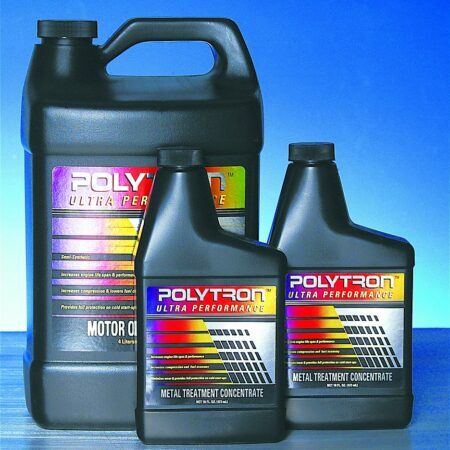 Polytron MTC is compatible with all automatic transmission fluids. Regular transmission fluid is not an oil as it has almost no lubricity. As a result bearings and other moving parts in your transmission do not get well lubricated during operation. Polytron MTC is specially engineered to lubricate and extend the life of your automatic transmission. Anything hydraulic will benefit from the use of Polytron MTC. What kind of results can I expect from adding Polytron MTC to my automatic transmission? Polytron MTC lubricates the valve body in the transmission resulting in smoother shifting. With reduced friction you will also have less heat and wear, resulting in longer life for both the transmission fluid and the transmission. What kind of results can I expect from adding Polytron MTC to my standard transmission? Along with easier, smoother shifting, Polytron MTC will extend the life of the bearings and gears in your standard transmission. 'Power steering utilizes hydraulics. What affect will Polytron MTC have on the steering mechanism? Polytron MTC will lubricate the pump and all other moving parts in your power steering again providing for less wear, smoother operation and extended life of your power steering. What is the main benefit to adding Polytron Gasoline/Diesel Fuel Conditioner? Since the government has required fuel companies to take more sulfur out of diesel fuel, they have reduced its lubricity. Polytron’s Gasoline/Diesel Fuel Conditioner replaces the lubricity for easier starts and smoother running engines. Polytron also breaks down the surface tension of water (from condensation) in diesel fuel protecting the injectors if water was to get past the fuel filters. Polytron also lubricates and protects the upper cylinder walls and fuel pump from wear. Do I need to use the Polytron Metal Treatment with the Fuel Conditioner to get the best results? While each product has measurable results used individually, when used together they will ensure maximum performance and cost effectiveness. Has the EPA tested Polytron? No. However, Polytron GDFC is EPA registered. How does using Polytron help the environment? Polytron conserves natural resources by reducing the consumption of fuel and oil and independently certified tests show that POLYTRON significantly reduces harmful exhaust emissions. Often application of Polytron GDFC along with MTC will allow polluter car to pass smog. Should I reduce the temperature of my Thermostat after adding Polytron in my engine? Yes. If you notice your engine running warmer than normal, or even heating up regularly check the thermostat. If it is set anywhere near 200 degrees, it would be wise to install one that is set around 180 degrees. Reducing the temperature of the thermostat 15 to 20 degrees allows it to open wide enough. Note that every application is different and our recommendation must be taken as basic guideline suggestions. Applies only to distributors: No, providing you do not make claims beyond what is stated in Polytron promotional literature and on the product label itself. Polytron products will not cause any harm to customer's equipment if applied as suggested. Please note, however, in EXTREMELY RARE CASES, cleansing power of Polytron products may cause wider gaps in engine internals, such as piston rings/cylinder clearance on engines with severe wear (usually over 250,000mi / 40,000km, or hours equivalent) otherwise sealed by the carbon deposits. This is NOT caused by Polytron and conclude that engine was requiring rebuild.